Manufactured in France from 1956 until 0. Like B11, it is about a Bi-format 6x9 and 6x6 cm (format 620). 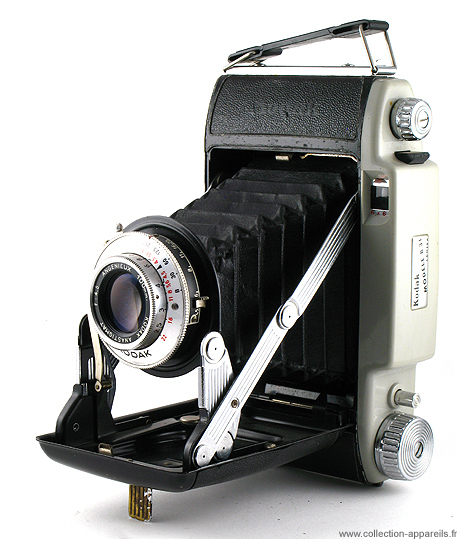 The B31 model differs from B11 by its shutter/lens block. The lens is Angénieux 100mm F:4,5 treaty. The shutter is Atos (not visible indication) which goes from 1/25 to the 1/150 + B or a shutter which goes from the 1/30 to the 1/250 + B.